I am a tutor in Biochemistry at Worcester College, Oxford University. The other tutor at Worcester is Dr. Nicholas Crump, whose research is on signalling to the nucleus. 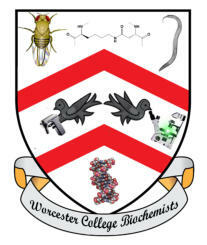 My role is to teach and mentor Worcester Biochemistry students throughout their course. I was a student myself in Biochemistry at Oxford, so I have a good understanding of how to help students make the most of their time at Oxford. Biochemistry is the study of life at the molecular level. To learn more about the Biochemistry course at Oxford, please have a look here. For further information on the Oxford University college system, this site should be helpful. If you have the chance, come to the open day for visiting the department, seeing round colleges, and meeting tutors in July each year. Lectures Enzymes I give the 2nd year lectures on Enzymes for Oxford students. Here are links to some important work in this field: Jay Keasling video on enzyme and microbe engineering for producing anti-malarials and biofuels. David Baker computer game to allow you to get a feel for forces in protein folding, with the goal of designing new enzymes, and his lecture. Studying enzymes one molecule at a time, video by Steven Block Freeman Dyson article imagining Our Biotech Future. Structural Biology I give tutorials on a broad range of topics in Biochemistry, including structural analysis of proteins. You may be interested in seeing some of the diversity of protein folds via the Protein Alphabet. 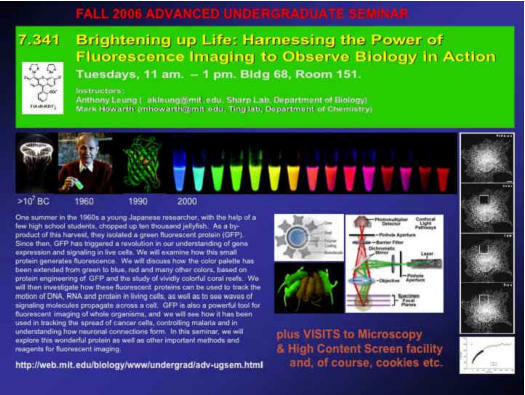 Fluorescent imaging and Single Molecule Approaches I teach 3rd year undergraduate Biochemistry students on Fluorescence Microscopy and Single Molecule Approaches to Biochemistry. I lecture for graduate students and postdocs on Fluorescent probes and on Single Molecule Imaging in the Oxford Advanced Light Microscopy Course, organised by Ilan Davis. E-mail me for slides from the lectures. I taught the advanced undergraduate seminar on fluorescence imaging in biology at MIT with Anthony Leung, under the supervision of Prof. Robert Horvitz.  The course is also on MIT OpenCourseWare.